We’ve all made New Year’s resolutions and then a year later, failed to achieve them. What if instead of planning ahead for one year, we made a ten-year plan? Ten years is a long time. You have time to fail and learn and try again. If you want to achieve not just a few resolutions but a remarkable life, you need to embrace the idea of creating the ten-year plan. And I ask, how can you not plan your future? You plan your meals, you plan your vacations, you plan your workouts? Why do you plan those things? You plan your meals so when you go to the grocery store you aren’t one of those people just wandering up and down the aisles with no clue what to buy. You plan your vacation so you have a plane ticket that will get you to your destination and you’ll have a place to stay once you arrive. You plan your day so you don’t forget to show up to your dentist appointment or forget to turn in the work assignment is due. You plan your future for the same reasons, so you know what needs to get done. Matthew Kent had the same goals as most of us. When he was in high school he expected to make lots of money, to retire early, to be fit and healthy, and to always be learning new things and growing as a person. But when you was in his 20s, a grown up by any metric, none of this was true. When he turned 30, the real mark up adulthood if you managed to Peter Pan your way through your 20s, he found himself in a dead end job working with someone nearly a decade younger who had the same job title and a bigger salary. He was consistently gaining weight. Matthew had been extremely physically active in college but since graduating had never been able to establish and stick to a work out routine. Matthew didn’t have cable and he didn’t work out so surely he was plowing through books at a record pace. No, Netflix, with all those tempting movies and TV shows came along and the books piled up on the nightstand. This isn’t how he imagined his real life at all. The whole thing had not turned out the way it was supposed to. In 2016 Matthew started his first blog and Youtube channel. In 2017, he went on his first diet and with his wife, created their 10-Year Plan for a Remarkable Life. Only a few years into the ten-year plan, Matthew has had tremendous success. He’s lost weight and gotten fit. He’s found great online success and is now a published author. His old life and his new life are total opposites. Matthew did it and he’s going to show us how we can do it too. Everyone will have their own definition of a remarkable life but many things are universal. We want to be financially secure, we want to be loved, we want to be respected, we want to do things that make us feel accomplished. None of those core things are particularly spectacular. Most of us don’t plan to amass billions of dollars or find that one perfect person you’ll never fight or disagree with (they don’t exist). We don’t need the respect of millions of people, our best friends, family, and colleagues respect is enough. We want to feel accomplished in our careers and hobbies but none of us is probably dreaming of colonizing Mars. So given that most of us don’t have wildly outlandish goals, why do we so often feel like we’re not meeting them? You can cruise through life for a long time without ever taking stock of just how few of your goals you’ve met, whether they were the goals you had for yourself when you were in high school or your New Year’s resolutions for the past year. Life isn’t unbearable, you have enough money to pay your bills (just, you live mostly paycheck to paycheck), you’ve been dating your partner for a few years and the spark is gone, but that’s just what happens over time. Only a hopeless romantic expects any different. You don’t hate your job, but it doesn’t exactly set your soul on fire. You’re a little chunkier than you should be and the doctor warns you to get your weight under control at your annual physical but you don’t have any (major) health problems right now. My point is, you can be a C student and life could be worse. But then something happens. Maybe you have a financial emergency and because you live paycheck to paycheck, you can’t cover it. Lately, everything your partner does drives you nuts, like even the way they breath pisses you off (or is it just me?). You’ve started to dread going to work because you do the same thing day after day and it really doesn’t mean anything to anyone. Your knees and lower back ache all the time. You weren’t very active anyway but now even everyday things like going up a flight of stairs or standing for more than a few minutes is really painful. Some people will take these things as a sign that something needs to change. They’re the lucky ones because the forever C students will go to their grave still just doing enough to get by. Don’t be intimidated by the “10-year” part of this. As Matthew says, we tend to overestimate what we can do in a day which is why we so often fail to finish all of the things on our daily to-do list. But we underestimate what we can do given a longer period of time. And don’t be intimidated if you’re not sure what your definition of a remarkable life is. Yes, the goals for a 10-year plan are bigger but our time frame to achieve them is longer. And there are some questions you can ask yourself to help you suss out what a remarkable life means to you. Well, we can look to our New Year’s resolutions to answer why a one year plan doesn’t work. 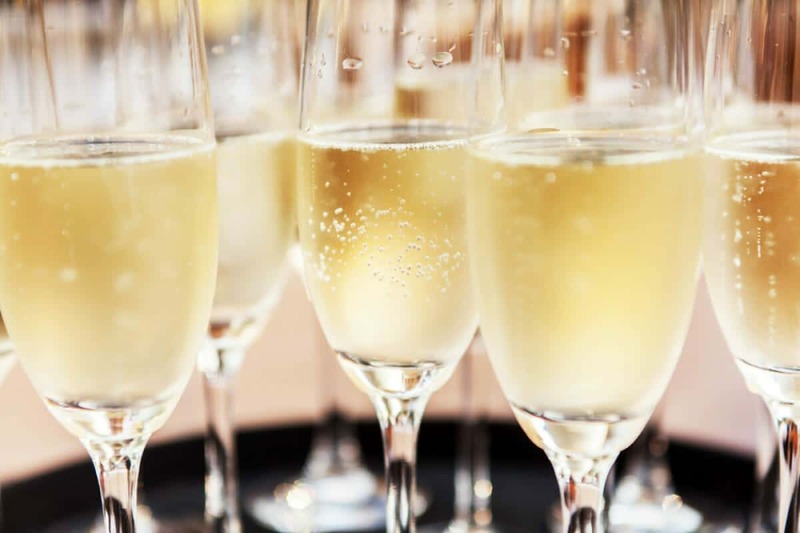 They tend to become New Year’s traditions, like champagne and the ball drop because we make the same ones every year. A 10 year time period is sufficiently long enough that the plans you make can be ambitious but still achievable. You can try different methods to help you achieve your goals and if a particular one isn’t working for you, there is still lots of time to try something else. These are the questions you should ask yourself that will help you define your remarkable life. But it only works if your answer is the answer you would give if you knew that you could not fail at creating the life you really want. These are the questions Matthew and his wife asked. You can add your own but at the very least, these will give you a starting point. On this date in (10 years from the current year), what does your life look like? What kind of house are you living in? On this date 10 years from now, what does one day look like from waking up to bedtime? It’s harder than you think to answer these questions and that’s the point. I answered each question and it took me a few days, the last one I found especially hard. The questions are supposed to be hard to answer because they’re crafted to make you think. “Being rich” is not a goal, it’s too vague. When you’re crafting a 10-year plan to build a remarkable life, you have to dig down deep. The end result of any goal often looks lofty but reaching any goal is accomplished by breaking it down into smaller steps. This is a money podcast so let’s use a money-based goal for our example. Your goal is to save a six-month emergency fund. Make a budget. Without a budget, you have no idea how much you’re spending. Start a Mint account so you can see where your money goes. You’re probably spending more than you realize on stuff like food and entertainment. Cut expenses. Go through your transactions in Mint and see where the fat is. You can use Trim to cut your expenses. Use apps like Honey and Ibotta when you shop online and in person. Pay off high-interest debt. It’s hard to save money when you’re paying interest on stuff like credit card debt. You can get a debt consolidation loan or use the snowball or stacking method to pay off that debt efficiently. Increase your income. You’ve cut everything you can. Now it’s time to make extra money. Ask for a raise, move to a higher paying job, or earn some side income by driving for Uber, sell stuff on eBay, or rent out your place on Airbnb a few nights a month. Pay yourself first. Saving money doesn’t just happen. Pay yourself like you pay a bill. Each month money is budgeted for your emergency fund. You can set up an auto transfer from your checking account to your savings account. Devote extra money. Whenever extra money comes into your life, gifts, bonuses, a raise, your tax refund, it goes straight into your emergency fund. There you go. You achieved a big goal in six, small steps. Did you know that you’re more likely to achieve a goal if you write it down? It’s true. 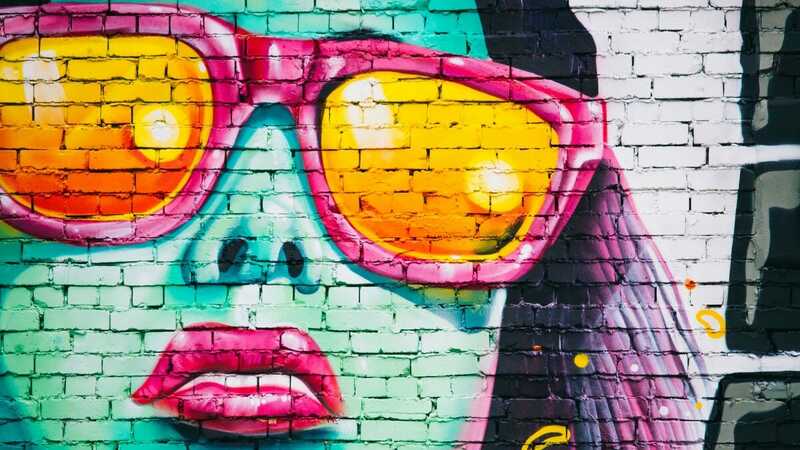 Vividly describing your goals in written form is strongly associated with goal success, and people who vividly describe or picture their goals are anywhere from 1.2 to 1.4 times more likely to successfully accomplish their goals. Writing down goals means you have created a means of external storage. You can re-read the goal anytime, you can post it where you’ll see it every day. Writing down goals also encodes them. Encoding is when things we perceive go to our brain’s hippocampus to be analyzed. That is where decisions are made as to what to store in our long-term memory and what to forget. Writing something down improves the encoding process. And by writing, we mean on paper with a handheld writing implement. No typing. Writing by hand forces you to slow down and consider what you’re writing. What do you do to take care of your oral hygiene? You brush and floss your teeth right? And you do it twice a day every day. What do you do to take care of your mental hygiene? Anyone? Anyone? Probably not much. But looking after your mental health is just as important as looking after your physical health. Maybe more, it’s not people with heart disease shooting up schools in the United States. Michael uses a method he calls bullet journaling. Each day he writes down three Daily Affirmations. These should be things that reaffirm what you know to be true about yourself. We take a lot of criticism but we know ourselves better than the critics can know us. Your affirmations can also be things you want to assign to yourself. Maybe they’re not true just yet but they’re things you’re working towards. The bullet journal also contains three things you’re grateful for each day. Most of us do a lot of complaining; traffic is terrible, this line is taking forever, the take-out place got my order wrong. It’s nice to put a little of our energy into what we have that we appreciate. Remember when you were a kid and would cross off the days on a calendar until Christmas or summer vacation? You should use the same method to count how many days in a row you have done X.
X can be anything that you already don’t do every day but want to start doing every day. Things like exercising, eating five servings of vegetables or spending an hour working on your side hustle. Or it can be a thing you want to stop doing like playing video games. Matt uses an app called Streaks but I like the calendar method because it gives you a visual. Momentum is powerful. The more you do something, the more you want to continue doing it. You’d hate to break your streak. Eventually, doing X is not even an event anymore, it just is. It’s just a part of your day, of your routine. That’s what exercising is for me. I get up, drink three cups of coffee while reading the news and then workout. I don’t have to think about it, it’s the same as drinking the coffee or reading the news, just a thing I do in the morning. 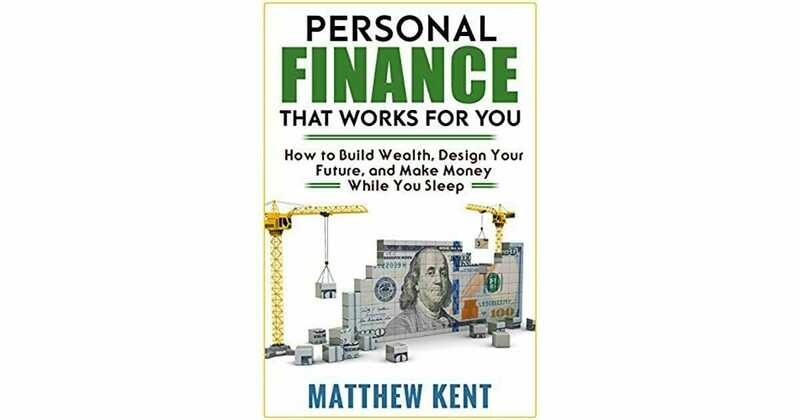 Matthew wrote a book, Personal Finance That Works For You: How to Build Wealth, Design Your Future, and Make Money While You Sleep. In the book, he’ll show you how to put your investments on autopilot using common sense strategies that are designed to beat the investing professionals. We all spend more than we should but dread the thought of cutting spending. Matthew shows us how to make cutting expenses painless. The book will show you several ways to make money online using passive income methods and give you the strategies that will help you achieve financial freedom. Time passes at the same rate for everyone. The next 10 years is going to pass for everyone. You can use that time to reach your goals by implementing Matthew’s methods to create your own remarkable life. Or you can sit stagnant. Either way, time passes. Time moves slowly but passes quickly. Head over to Matthew’s website where he has created a special corner just for LMM listeners. You can find a link to his book and get a free copy of his productivity guide, The Ultimate Daily Checklist. You’ll also find links to his social media sites and recommended blog posts.